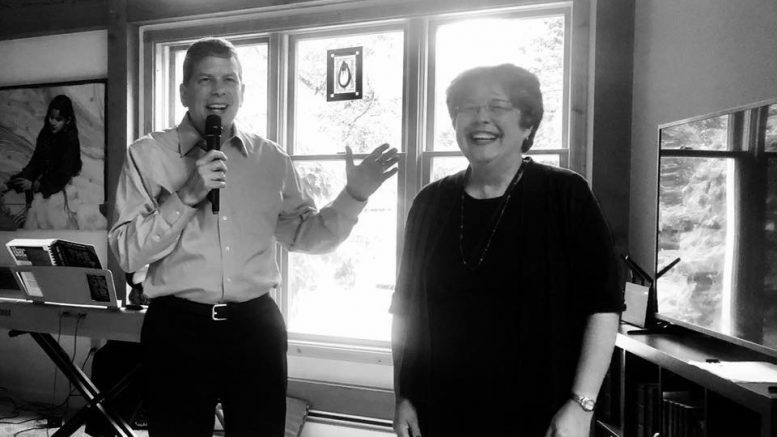 Mark Begich and Debra Call. Governor Walker and Lt. Governor Byron Mallott opposed Judge Brett Kavanaugh’s lifetime appointment to the US Supreme Court. The Governor and Lt. Governor cited Kavanaugh’s weakness on Labor issues, Indian Country and the allegations from Professor Blasey-Ford. What he didn’t mention in the release was Mark Begich, but he probably should have. Begich has found his stride in this race being an authentic progressive and he keeps pulling Walker to the left. For weeks, Begich has been pounding out tweets and messages that Kavanaugh shouldn’t be confirmed. Walker avoided taking a position on Kavanaugh, but in order to fight Begich for Democratic and left-leaning voters, it appears he thought opposing Kavanaugh was a smart choice. Since Murkowski ultimately agreed and was the lone Republican “No” vote, he bet wisely. Walker was initially opposed to the Stand for Salmon initiative. Lately, he has switched to a more neutral position. Walker has also announced that even though he is pro-life on abortion, his administration is basically pro-choice. In all these instances, you can feel the tug of Begich’s positions pulling the governor closer to his policies. It’s a liberal’s dilemma. Do they congratulate the governor for slowly getting closer to their position, or do they view it as a rubber band position that will snap back to the right without Mark Begich exerting force? Begich is a different candidate in this campaign. He’s become Begich Unleashed—he is less calculating and truer to his progressive soul. In my conversations with him, he talks about issues and Alaska like a former smoker talks about why everyone else should kick the habit. Begich has become a zealous advocate for his positions. Yet, Begich is still one of the best tactical thinkers in Alaska politics. He knows where he is, what it means to Dunleavy and Walker, and what a narrow path he treads. After September 4th’s deadline for printing ballots, we crossed the point of no return. Everybody’s name is on the ballot, which is a huge edge for Mike Dunleavy. But neither Begich nor Walker are slowing down. Dunleavy has the lead in every poll, but the former senator from Wasilla is being chased by two men that are both stubborn and unrelenting. The people that complain about Begich’s ego being the reason he is running have misread him. Both he and Walker care deeply about Alaska. So does Dunleavy. In the final month of the campaign we may learn who cares the most. 1 Comment on "TMS Editorial: The Begich Effect"
Wow, look how wishy washy Walker is. He’s the opportunistic guy who’s influenced by others ideas. Dunleavy on the other is another quitter from Wasilla who’s scared to debate his opponents and is a stooge of Tuckerman Babcock and his Texas brother. Dunleavy won’t come clean that he voted 7 times with Walker in 2017 not to restore the PFD. So we all really know the only one that will move Alaska forward is Begich.